On September 3, 1989, after weeks of anticipation, I drove with a friend for three hours, heading south from Montreal to the Saratoga Performing Arts Center (SPAC) in Saratoga Springs, New York, to see the Jefferson Airplane in concert. From its inception in 1965, Jefferson Airplane was the premier San Francisco band throughout the psychedelic era. This tour marked the first time they played under that name since 1972. In 1974, amid shifting personnel, the band was renamed Jefferson Starship ; 10 years later it was named simply Starship. With the recent departure of Grace Slick, the frayed thread connecting Starship to its origins finally broke : at that point Starship contained no one who was ever in Jefferson Airplane. It was a true reunion, for five of the nine people on stage were the nucleus, the chemistry of the Airplane from 1966 to 1971, and only drummer Spencer Dryden was conspicuous in his absence. 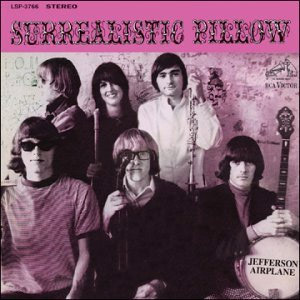 Left to right in a line across the front were : Paul Kantner on vocals and rhythm guitar, with glasses and a chic black and yellow jacket ; vocalist and founder Marty Balin with blond hair and long-fringed black leather ; Grace Slick, looking fantastic and radiantly healthy with a gorgeous head of hair, black like her stylish suit ; lead guitarist Jorma Kaukonen, not particularly healthy looking, hair pulled back and wearing a jean jacket, t-shirt, and jeans with torn knees ; and bassist Jack Casady looking enigmatic, light of hair and dark of glass. The supporting musicians were behind the front line and on risers : Kenny Aronoff, a fabulous drummer ; keyboardist Tim Gorman, whose playing was incredible, versatile and tasteful ; Randy Jackson on acoustic guitar, electric guitar, and sometimes keyboards. 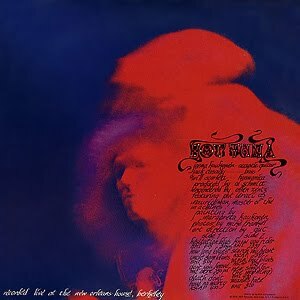 Also, on the far right side was guitarist Peter Kaukonen, looking somewhat uncomfortable and uninvolved, occasionally more animated during his few solos when he used the whammy bar and two-handed hammering. Peter, brother to Jorma, had been in a group named Black Kangaroo and was briefly a member of Jefferson Starship. My mail order ticket was $18.50 and got me into a seat near the back of the open-aired concert bowl. Though we had a roof over our heads, it was a perfect night, and the lawn seats behind were well populated. Seconds after finding my seat, the concert opened exactly on time with "She Has Funny Cars," written by Paul and Marty, from Jefferson Airplane’s second album, Surrealistic Pillow, the first one with Grace Slick in the band. At the sight of the band and the fabulous light show, which was clean, high-tech and constantly surprising, and at the sound of the familiar intro by drums and the descending lines by bass and guitars, the full house audience roared. We knew the band was going to play some of our favorites. In fact, the first three songs were from that same landmark album. The crowd was happy, thrilled, boisterous, and appreciative. This song was a fine choice for an opener, for the instruments enter one at a time, and the band, always rich in vocal talent, displayed their three-part harmony derived from folk-rock. Never having seen the band, but being a long time fan with almost all their albums, I was delighted to see who did what and how they interacted and moved. Paul and Jorma remained rooted, Marty and Grace moved freely about, and Jack, enjoying the freedom of cordless technology, walked, hopped, and raced around the stage, grooving face to face with the drummer, the keyboard player, getting between Marty and Grace, communing with the speaker of his amp, and even playfully getting in the way of a scurrying roadie. To the delight of the audience, the next song was “Somebody To Love." It was written by Darby Slick, brother of Grace’s first husband Jerry, when all three were members of the Great Society. When Grace joined the Airplane, she brought with her this song and her own composition "White Rabbit" from her previous band’s repertoire. 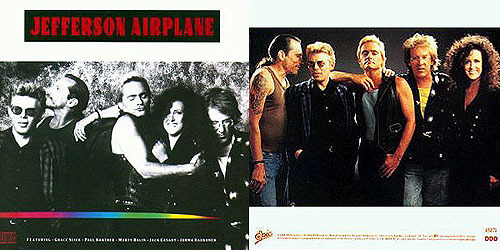 These were the Airplane’s first and biggest hits, both top 10 in 1967. Then Marty sang his "Plastic Fantastic Lover" pacing the stage while the band played with total confidence and conviction. Another favorite, Paul’s "Won’t You Try/ Saturday Afternoon" from their third album After Bathing At Baxter’s, was a song which they had performed at Woodstock. Perhaps this summer’s 20-year retrospection was partly responsible for the reunion, media interest in the tour, and curiosity from the younger audience members. Back to the past yet again for another song from the Surrealistic Pillow album with "Today." Written by Paul and Marty, this very emotional love song gave credence to the band being identified with love, Love-Ins, and the Summer of Love. Marty and Grace sang close to and directly at each other : "and it’s all for you." When Grace announced "Jorma’s going to sing a spiritual," the crowd yelled as the band started "Good Shepherd," his arrangement of a traditional song from the Volunteers album. Since it hadn’t been announced who was in the band, the people who hadn’t recognized him by then were happy to know he was also there, and his patented nasal voice, never heard except when he sings lead, brought the delight of another familiar color. Grace’s voice interweaved with Jorma’s in a lovingly done rendition with a lot of feeling : "one for to make my heart rejoice." In introducing her song "Lather," from Crown of Creation, Grace said : "We used to say don’t trust anybody over 30, that’s not right, don’t trust anybody over 12 !" At the line "snotting the best licks in town," over the classical double keyboard background, Grace was tapping her nose while humming, smiling at the fun of it, and so were we. "Is it true that I’m no longer young ?" "Solidarity" by Marty, including lines by Bertol Brecht, is a new song with long new age-style acoustic piano and synthesizer intro. The harmony voices, the beat and the band entered with three repeats of the title, with the syllables rising in pitch. The main body of the song was musically powerful, ending with the piano alone. A plea for understanding : "people of the world together, join to serve the common cause." "Wooden Ships," the song Kantner wrote with David Crosby and Steven Stills, is a vision of post-apocalypse survival, where two enemies meet and share berries. After technology has failed, sailing away from the barren ruins appears to be "easy, you know the way it’s supposed to be, free and easy." As the song opened, Paul then Grace and then Marty each sang a couplet. The concert ending differed from the Volunteers recording with reprises of the first line from each singer, ending with them harmonizing "probably keep us both alive." Paul’s "America" from the K.B.C. (Kantner, Balin, Casady) group powerfully celebrates the country’s founding ideals and those who fight for that vision of freedom, with the declaration that "the dream still goes on" and impassioned harmony with Marty’s voice above Paul’s singing "don’t be afraid of anything, don’t be afraid of anyone." The song ended with a lovely symphonic passage played alone by the synthesizer. A new song by Grace called "Freedom" opened with a short fast blast in 6/8 tempo, replaced by piano chords in a slow 4/4 tempo and classical arpeggios on electric guitar. The drums re-entered on the second section, back to 6/8 at the slower tempo. "It’s wonder anybody ever comes out sane, but they do... it’s all uphill but that’s the only way to get high…Right now’s the time for you to look inside and you’ll see love, love has never gone away." The finale was like the intro, now a rave up for guitars with Grace singing a wordless melody with a Spanish lilt. The song and the set ended with a spitfire drum tattoo. After intermission, the second set began with Hot Tuna doing some favorites. This duet of Jorma and Jack produced numerous albums in the ’70s when the others were involved in various solo projects and Jefferson Starship. The two played alone and seated, Jorma with a white acoustic guitar that had no visible soundhole, later switching to a matching black one. Back to the roots for some downhome acoustic blues, they gave us "Mann’s Fate," Jesse Fuller’s "San Francisco Bay Blues," and two from the repertoire of Reverend Gary Davis : "Death Don’t Have No Mercy" and "Candyman," which included a short bass solo. Grace and the drummer arrived to join in on Jorma’s "Third Week In Chelsea" from the Bark album. The men departed and Grace talked to the audience about her favorite animal, the panda bear, pictured on her t-shirt, urging us to support the World Wildlife Federation and Greenpeace. Alone at the piano, she sang "Panda," a new song about poachers killing a bear and selling the fur. "Panda bear, my gentle friend, I don’t want to say goodbye." The band returned with a solid version of "Miracles," which was Jefferson Starship’s biggest hit : #3 in 1975, from the Red Octopus album. Randy Jackson reprised the characteristic screaming guitar solo. "If only you’d believe like I believe." "Ice Age," a new one written and sung by Jorma, was long, hypnotic and flowing. The kind of song you want to travel far with : "keep on walkin’." The summer of 1967 was "just the beginning" ; the spirit continues. The band joked about the bats flying around the stage and Paul got a good laugh when he said they were "flash bats." In a familiar driving beat in the Jefferson Starship mold was the new song "True Love" : "what the dream is really made of." Out of Paul’s continued interest in science fiction and technology came "Planes," the story of two generations of boys fascinated with flight, planes, jet aircraft, and space travel. The predominant forceful chorus and guitar solos were contrasted by sparse, declamatory verses. The home stretch was heralded by Jack’s familiar bass intro to "White Rabbit." Grace toyed playfully with rhythm as the band surprised us by dramatically dropping the dynamics at the word "logic," then building in intensity to the end : "feed your head." Before the final song, Paul’s "Crown of Creation," title song off the fourth album, she thanked us for joining them. Well, it was our pleasure ! The encore started with their oldest composition : Marty’s "It’s No Secret," a concert staple from the first album Jefferson Airplane Takes Off. Guitar solos dominated Jorma’s selection of "Baby What You Want Me To Do," a song written by bluesman Jimmy Reed, whose version entered into the top 40 in 1960. 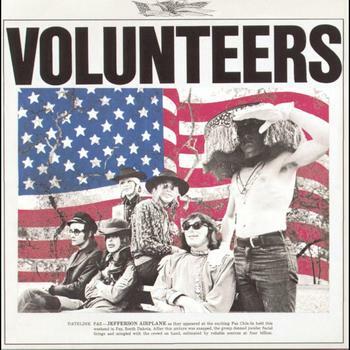 The final song of the night was the Balin and Kantner composition "Volunteers." Originally, it was the bands’ rhetorical cheer-leading rally for a simplistic revolution in the streets with the youth (hooray !) versus old folks (boo !). Now it’s become a call for worldwide change, naming such trouble spots as Beijing, South America, Poland, Russia, and "here." "Fight back" they yelled and we chanted back, building and channeling the energy. After they left the stage, I was amazed at how much noise humans can make ! So 1989 came with the happy surprise of a reunited Jefferson Airplane, consummately professional in their music and stage show. They have made peace with their past and are still looking forward, bringing a positive message of unity, love, evolution, revolution, and ecology, living a dream of all of us working together with a refined vision of the world, more global, more real. As we walked out, the Greenpeace table near the concession stands seemed to be particularly appropriate. I recommend Got A Revolution ! 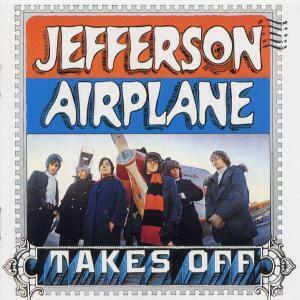 The Turbulent Flight of Jefferson Airplane by Jeff Tamarkin. Click here to go to the website for the book.